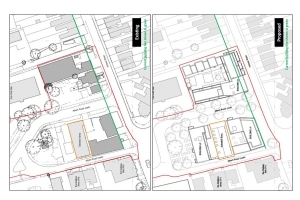 New Barnet Community Association (NBCA) have submitted a letter of objection to the planning application to build 6 houses and 4 flats on the Jester Public House site. The full planning application 18/3092/FUL can be seen on the council's planning website where you can also leave your comments by 26 June 2018. A newsletter, dated 31st January, has been emailed to campaign supporters. As part of the planning conditions for the new Leisure Centre (Swimming Pool) being constructed in Victoria Recreation Ground, a replacement play area was required. 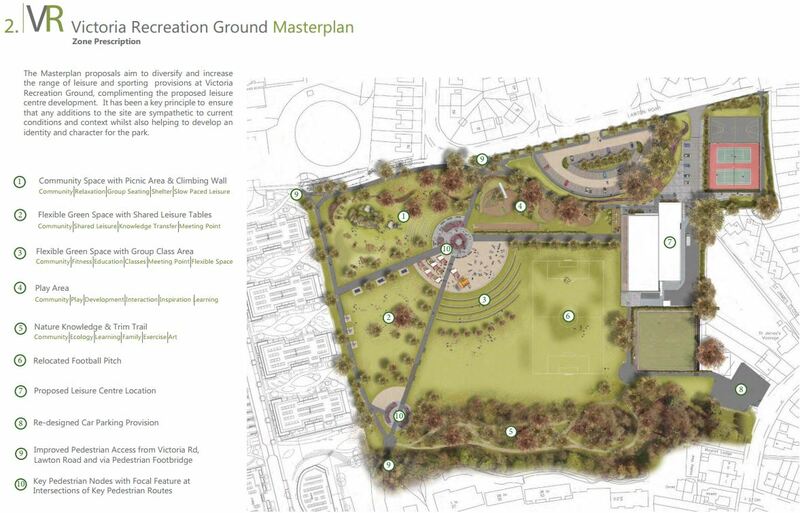 Barnet Council have just published a masterplan for the entire park. 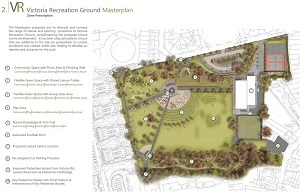 The full masterplan 17/7659/CON can be seen on the council's planning website where you can also leave your comments. 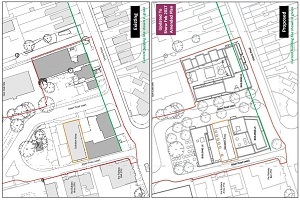 A meeting for residents living near a proposed development of 9 houses on back gardens in Crescent Road was held at the Community Centre on Friday 26th May. Details of the planning application 17/3017/FUL can be found on Barnet Council's Planning Website. A newsletter, dated 7th May, has been emailed to campaign supporters. 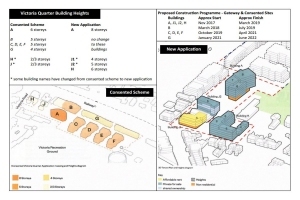 It contains details of a public consultation on plans for Kingmaker House on 11 May. A newsletter, dated 6th April, has been emailed to campaign supporters. 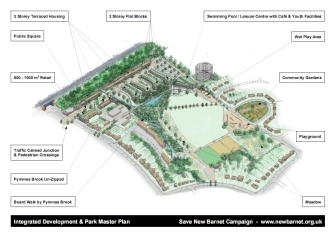 This details a second amendment to the 'gateway' section of One Housing's Victoria Quarter development and the neutral stance of Save New Barnet Campaign in response. 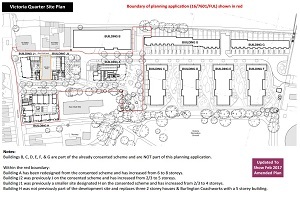 Details of the planning application and the amendments 16/7601/FUL can be found on Barnet Council's Planning Website. A newsletter, dated 20th February, has been emailed to campaign supporters. 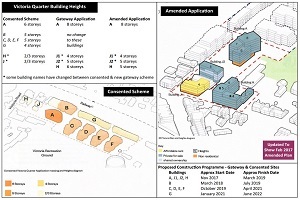 This details the continued opposition of the Save New Barnet Campaign to the amended planning application for the 'gateway' section of One Housing's Victoria Quarter development. Details of the original planning application and the new amendment 16/7601/FUL can be found on Barnet Council's Planning Website. 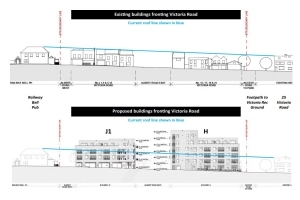 New Barnet Community Association strongly object to One Housing's Victoria Quarter 'gateway' scheme in their letter responding to the planning application. A newsletter, dated 9th January, has been emailed to campaign supporters. This details the opposition of the Save New Barnet Campaign to the planning application for the 'gateway' section of One Housing's Victoria Quarter development. Details of the planning application 16/7601/FUL can be found on Barnet Council's Planning Website. A newsletter, dated 5th October, has been emailed to campaign supporters. A newsletter, dated 2nd April, has been emailed to campaign supporters. 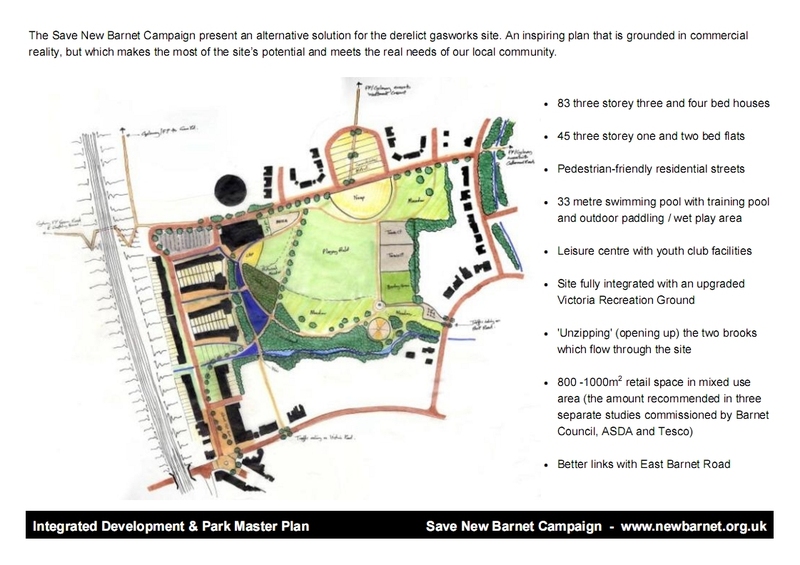 New Barnet Community Association (NBCA) have sent a lettter to Barnet Council outlining its views on the proposal for Victoria Recreation Ground in the consultation on the replacement of Church Farm Pool. Barnet Council's Planning Committee, held on 28th January, granted planning permission for Asda's development of 304 homes on the gasworks site. A newsletter, dated 25th January, has been emailed to campaign supporters. New Barnet Community Association (NBCA) have sent a letter, dated 5th November, to Barnet Council objecting to the planning application for the gasworks site. A newsletter, dated 26th October, has been emailed to campaign supporters. A newsletter, dated 7th October, has been emailed to campaign supporters. We send out newsletters via email to keep residents informed of developments in New Barnet and how you can take action. Sign up to receive your copy using the box in the right hand column, or send us an email. Consultants working on behalf of Barnet Council drew up outline proposals for the future of the main shopping area in New Barnet during 2009. Public consultation on a draft version of the document took place during February and March 2010. A final version was approved by Barnet Council on 29th November 2010. It is available for downloaded from the Council's website. Feb 2014: Both Tesco and ASDA no longer have any plans to build superstores in New Barnet and have disposed of the sites they acquired for residential developments. A planning application from ASDA was registered by Barnet Council on 16th February 2009. 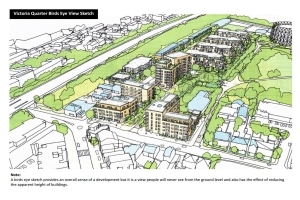 The application was due to be decided at Barnet's Planning and Environment Committee on 1st July 2009, but ASDA withdrew their plans on 30th June 2009. In early 2014 it became known that ASDA were formulating plans for a residential development on the gasworks site. Planning permission for 304 homes on the gasworks site was granted in January 2015. Tesco never applied for planning permission for either their original or revised 'regeneration' schemes. 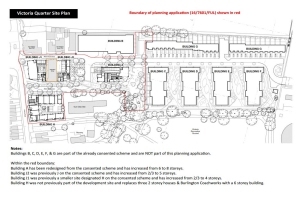 In mid 2012 it became known that Spen Hill (a wholly owned subsidiary of Tesco) was formulating plans for a residential development on the OpTex site. Planning permission for Spen Hill's residential schemes on the 3 Tesco owned sites was granted in August 2013 and construction started in July 2014. Despite ASDA and Tesco's attempts to brand us as a bunch of "NIMBYs", the Save New Barnet Campaign is far from "anti-development". Indeed, we're keener than most to see redundant sites in our local area brought back into use. However, we are determined to oppose any development which is inappropriate in terms of scale, design and use. After all, it is us and our community that will have to live with the effects of these projects long after the developers have moved on. 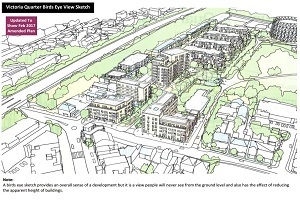 The kind of large-scale, multi-storey development that ASDA and Tesco are proposing is grossly inappropriate in a largely residential suburb like New Barnet, which is characterised by two or three storey buildings on a Victorian and Edwardian road network, and within a few hundred metres of the Green Belt. We also know that it's not what local people want, because we've spent the last year asking their opinion for our community's "Vision For New Barnet". Amongst the hundreds of views, two things that came up again and again were "family houses" and "leisure facilities". So, using the "Vision" as a guide, we commissioned some local architects to propose an alternative solution for the derelict gasworks site. The result is an inspiring plan that is grounded in commercial reality, but which makes the most of the site�s potential and meets the real needs of our local community. In January 2008, Tesco announced plans for a 'Town Centre Regeneration Scheme' in New Barnet. This was in addition to ASDA's long expected development plans at the neighbouring gasworks site in Albert Road. The Save New Barnet Campaign was formed in response to these development plans. 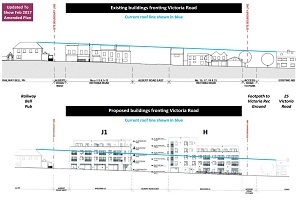 In addition to these plans for two major supermarket developments, Tesco also have permission for a Tesco Express store in front of the gasworks site on Victoria Road. The campaign has organised a number of events and commissioned research into local opinion. A Vision For New Barnet suggests what the local residents would like to see happen to improve New Barnet. On this website you will find an archive of documents, including press coverage, related to the planned development schemes. The latest info is on the news page and the action section contains contacts to express your opinion. Let us have your email address and we will keep you informed about local developments. We will let you know when Tesco & ASDA submit planning applications, when & where to send your vital letters of objection, and other campaigning activities. Sign up using the box in the right hand column. Speak up for your local community! 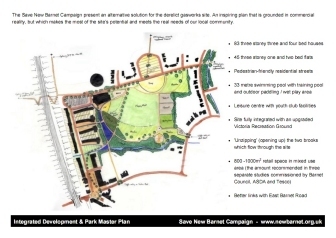 Save New Barnet Campaign is a non-political group of local residents fighting for a better New Barnet. The group seeks to inform the local community about potential changes to the area, and oppose inappropriate developments. The group aims to promote a clear vision for how New Barnet could be developed for the benefit of the community based on the views of local people. The Save New Barnet campaign is funded entirely by donations from individuals. It is not bankrolled by any company or commercial organisation.